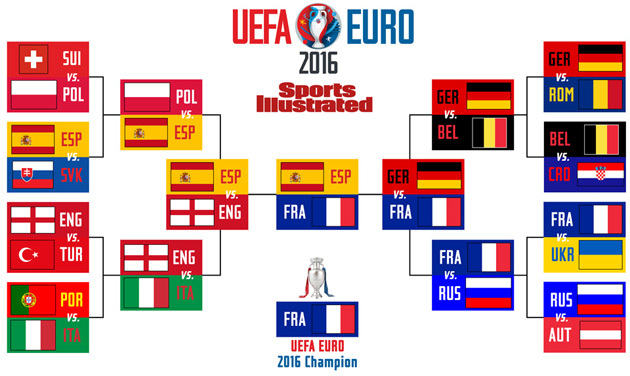 Who will win Euro 2016? SI's expert panel makes its picks for this summer's showcase in France. The first 24-team European Championship commences on Friday in France, when the host nation takes on Romania to kick off a month-long tournament to determine the continent's top squad. Les Bleus have competition looking to prevent them from capturing another trophy on home soil. 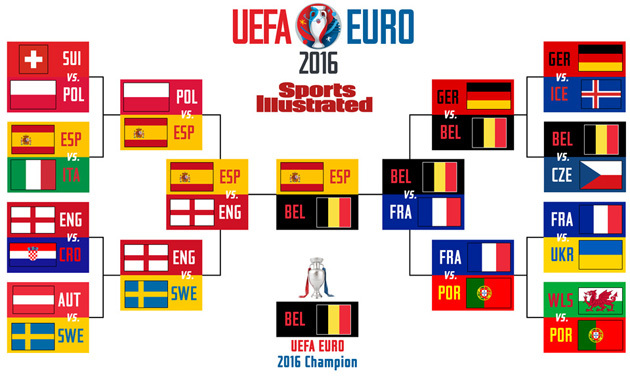 Spain is the two-time defending champion of the competition, aiming for an unprecedented three-peat. Germany is hoping to add another European trophy to its cabinet after winning the World Cup two summers ago. Belgium enters the competition as Europe's top team in the FIFA world ranking, coming it at No. 2 overall behind Argentina. The Euros are no stranger to dark-horse runs either, none more stunning than Greece's run to the title in 2004, and there are many capable "lower-tier" sides ready to spring a surprise at Euro 2016. I can’t believe I’m actually picking England to win this thing. I mean, this is England we’re talking about; a team that seemingly always succumbs to pressure amid too-high expectations. Still, this year’s group provides many reasons for confidence. It has in-form forwards, plentiful options in midfield, and a goalkeeper capable of match-winning saves. It's been on a tear since the 2014 World Cup, winning 17 of its 21 games including an unblemished record in qualifying for this tournament. England has the youngest team at Euro 2016, and it’s often young players that play fearlessly enough to make big impacts at big tournaments like these. It’s that same lack of fear that I believe will help England finally shrug off its demons this summer. I could very easily be wrong, of course. France is deep at every position and won the 1984 Euros and the 1998 World Cup playing at home, as it will be this year. Croatia has all the ingredients to make a surprise run. Germany and Spain haven’t looked like the unstoppable forces they once were, but they’re still Germany and Spain, and both will be motivated to win their fourth European title, which would be most all-time. All that said, based on what essentially amounts to a hunch, I’m picking England to win its first European Championship on the 50-year anniversary of its last major trophy. May God save the queen–and also have mercy on my soul. Belgium's golden generation was supposed to blossom in the 2014 World Cup, learn some lessons while growing as a world power, then take its place on the winner's podium as soon as Euro 2016. Surely it's not that simple, and the Red Devils are missing key defensive pieces in Vincent Kompany and Nicholas Lombaerts, but there remains enough matured talent, especially in the attack, to spoil France's party in the semifinals and then lift the trophy at the expense of two-time defending champion Spain. As for some other picks, this is more of a "what I want to see" than anything else, although there are sporting merits to the selections as well. Ronaldo vs. Bale? Spain-Italy 2012 final rematch? 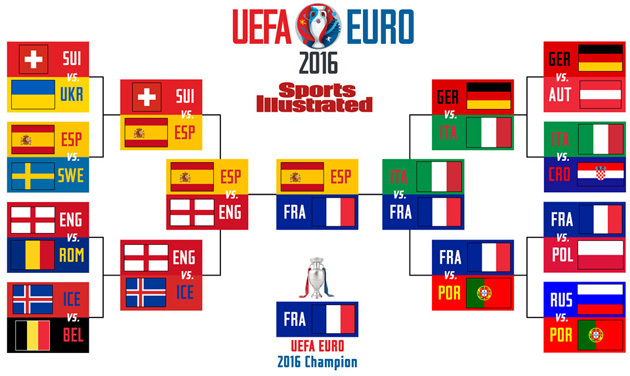 Powerful Germany vs. everyone's favorite underdog Iceland? A Germany-Belgium red-black-yellow flag derby? Zlatan vs. England again? Sign me up. The group stage predictions mostly explain themselves; I think Slovakia is an underrated side in Group B and and Czech Republic in Group D.
It's when the knockout stage comes that things get really interesting. The biggest shock will be the Czechs beating Belgium, which has individual talent in abundance, but I have reservations over whether Marc Wilmots can get the best out of it. I fancy Czech boss Pavel Vrba to be one of the stars of the tournament and his team, most of whom are based in the Czech league, is greater than the sum of its parts. Austria and Poland are other dark horses that could go deep, and I think France may have a scare against the Austrians in the quarterfinal. England-Portugal is impossible to call, so I am going for Portugal, this time without needing penalties, to progress. France's route to the final may not be serene, but it has improved since losing to Germany at the World Cup, and a final on home soil could set up a third straight home success for Les Bleus. Overall, I’m a fan of the tournament’s expansion. A continental championship should be more inclusive than a World Cup, and the addition this summer of countries like Iceland, Albania and Wales, among others, offers novelty, enthusiasm and the chance to appreciate different stars and stories. The one negative is that the diluted group stage will be a bit easier to navigate for the blue bloods. The favorites will be more spread out, and as a result are less likely to trip up and finish second. 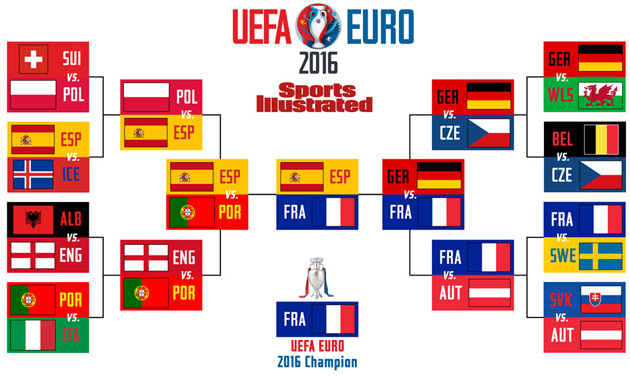 And this year, with the way the draw works out, that means the three best teams at Euro 2016 should be in the same half of the bracket once the knockouts commence. It’s kind of a shame that only one of France, Germany or Belgium will play in the final at Stade de France. The pick here is France. Les Bleus have a history of making the most of home-field advantage. Plus, they’re loaded, peaking at the right time and won’t have to play another title rival until the semis. 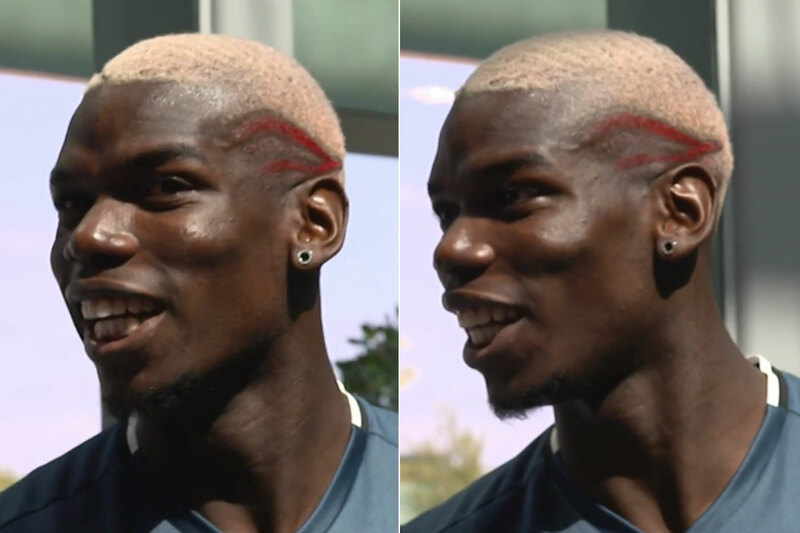 This will be the tournament of Pogba and Griezmann. The bracket’s JV half contains some talented but flawed teams. Spain is the best of the bunch and with something to prove after a disastrous 2014 World Cup, the reigning champs will fall to France in the final. 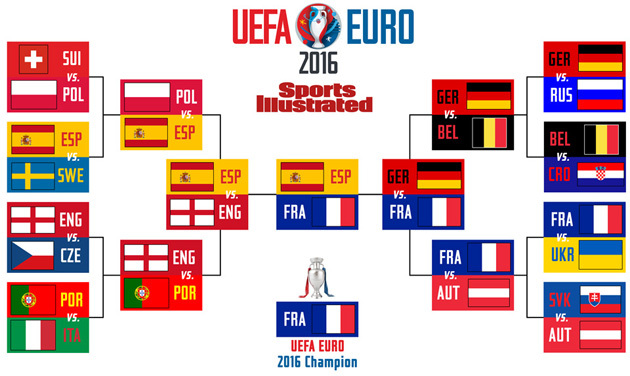 It’s remarkable that the two-time defending Euro champion, Spain, is receiving such little love heading into Euro 2016. I know Spain was miserable in the World Cup two years ago, but look for Vicente del Bosque’s team to remind everyone how good it is over the next month and reach the final. That said, France is the team that will raise the trophy on home soil, just as it did in World Cup ’98. The wealth of young talent France has is scary, and Paul Pogba is about to become a megastar. 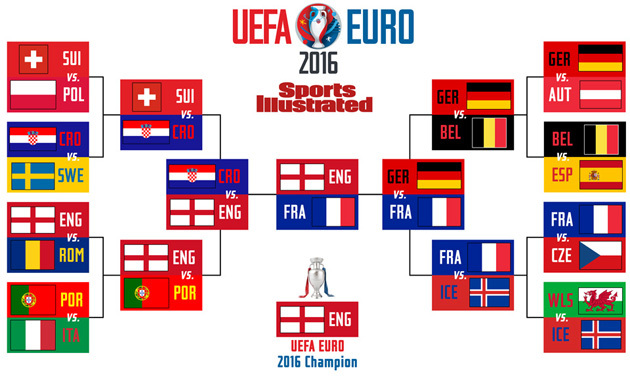 As for upsets, I’m going with Iceland, which proved in qualifying that it can beat anyone in Europe. I have them upsetting Belgium in the round of 16 and reaching the quarterfinals. As hosts, France is an overwhelming favorite for me. It has strength in depth in all areas with the possible exception of fullback and has won the last two tournaments it has hosted. By contrast, there are major questions about its two main rivals, Spain and Germany. Spain has lacked fluency throughout the qualifying campaign, while Germany still hasn’t resolved the issue of who will play at center forward or fullback, while defeats to Ireland and Poland in qualifying don’t bode well. England, if it gets the defense right, has the pace in forward areas to counterattack dangerously, although a quarterfinal against an Italy side more dogged than dazzling would be tough. Belgium still doesn’t seem to have worked out how to get the best from its remarkable array of talent, while Russia is aging. Poland, if Robert Lewandowski is at his best, could perhaps trouble Spain in the quarters.